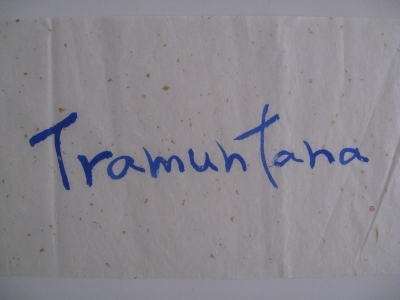 This , "Tramuntana", is Mr.Victor Parreno's favorite word. It is a Catalan language. He said to me, quote, "It's the name of a singular kind of wind in my country, the north wind". He is a photographer and is in his 20's.